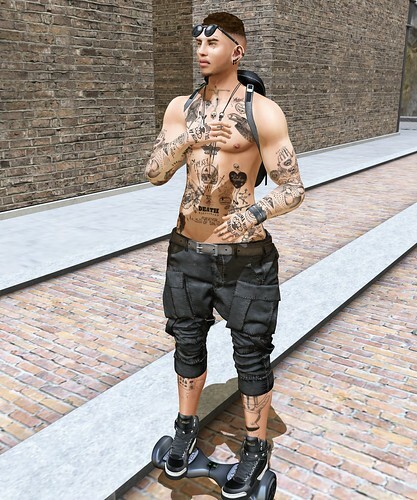 Pants :: TONY — Hype Slim-fit Cargos – Classic NEW! 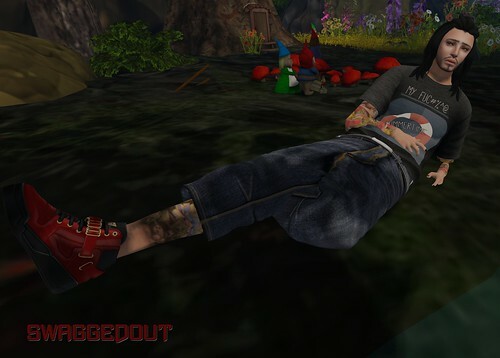 Tattoo :: SwaggedOut – Daggerfly Tat NEW! Leg Tattoo :: Speakeasy – Monster Owl Leg Tattoo NEW! Hoodie/Hair :: [Pumpkin]Urban Hoodie NEW! Sweatpants :: [Pumpkin] Sweatpants NEW! Shoes :: SwaggedOut – Slips SKULLS NEW! Boxers :: XODOHTRONU Tommy Briefs Grey NEW! Scarf :: [BUC] “Black” Bronte Bandit Scarf NEW! Tattoo :: DAPPA – Shield of Life Tattoo.